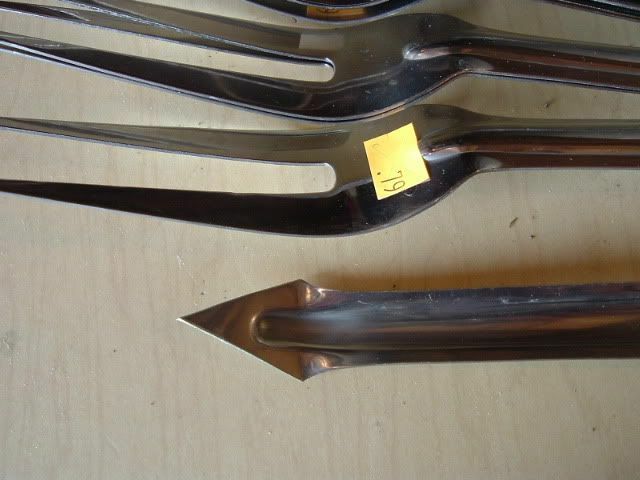 I got a good deal on some ss meat forks at a thrift store. Normally .79 cents. Got them at 50% off. I'm cutting the fork part off with a pair of hand shears and bending the handle end partially for the pounding surface. 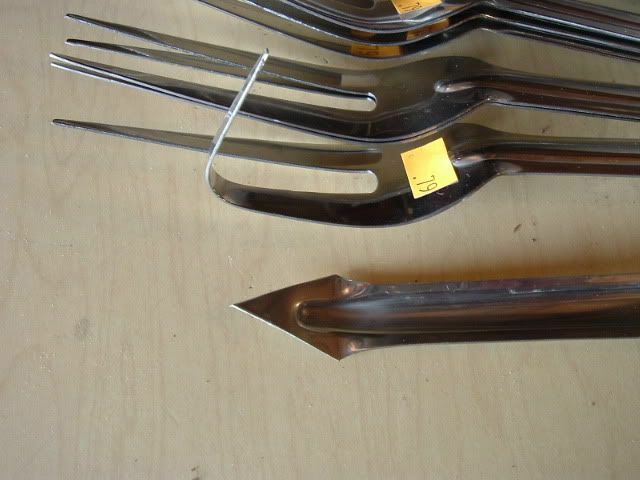 The guage of steel is undersize for a sturdy fork but good for some stakes. The blood groove that runs the length of the handle makes for some good strength. After they are all cut to size, I'll grind off the sharp edges. Last edited by zelph on Tue Apr 22, 2008 9:34 am, edited 1 time in total. ps. 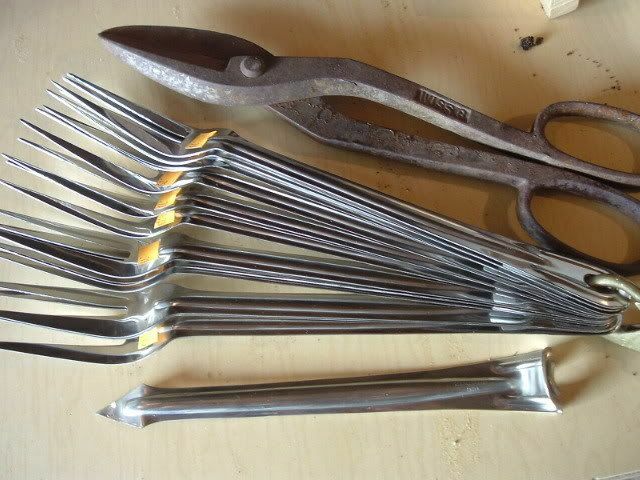 take a wire-wheel to those poor old antique un-replacable bench shears. DarenN wrote: good idea, Zelph! They were lost for a couple of years. Found them again out in the grass along side the garden area last year.